Anyone that’s tasted these will not be surprised – all four are fantastic products that I just love selling at events, especially the Chipotle Chilli Salt – the roast spud’s best friend! Congratulations to Jamie on the well-deserved accolades. No exciting tales of criminality to report this week. Rather it was another weekend of the very British hobby of moaning about the weather. I tried out Lechlade Garden Centre’s Friday Food Fayre (I’ll leave you to work out when) and left, after three hours of attempted trading, with a tide mark that soaked up the legs of my jeans to mid-thigh height. Now I can hear you saying ‘that’s not very far on you’, but I do believe that if I’d have toughed it out till the end I would have drowned thanks to the capillary properties of my own clothes. Unpleasant though it was I shall be back next month, new event organiser Laura is very keen to make it work so I’ll give it another go, and do a little anti-rain dance beforehand. 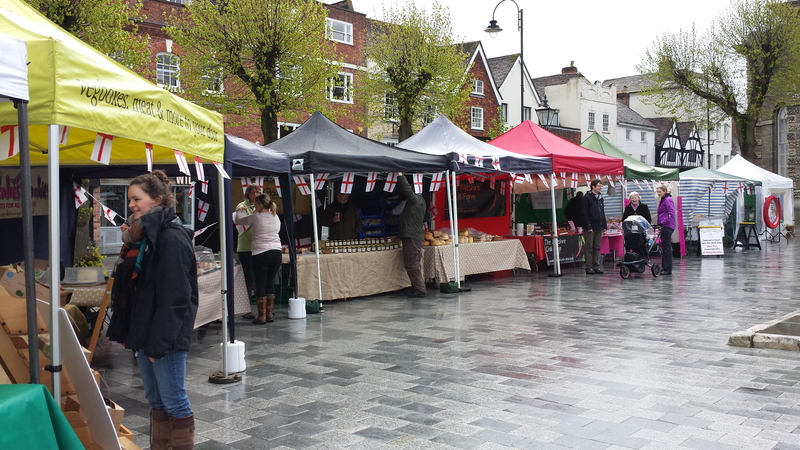 Saturday saw a regular trip to Royal Wootton Bassett, which was blowy but somehow stayed dry. Another unspectacular trading day but God Slayer saw it’s first proper outing with me, and drew it’s first public expletives. The wind played havoc with packing up at close of play, and I’m so thankful I invested in a sturdy bugger of a gazebo…it was a big expense at the time but is worth it in April weather. 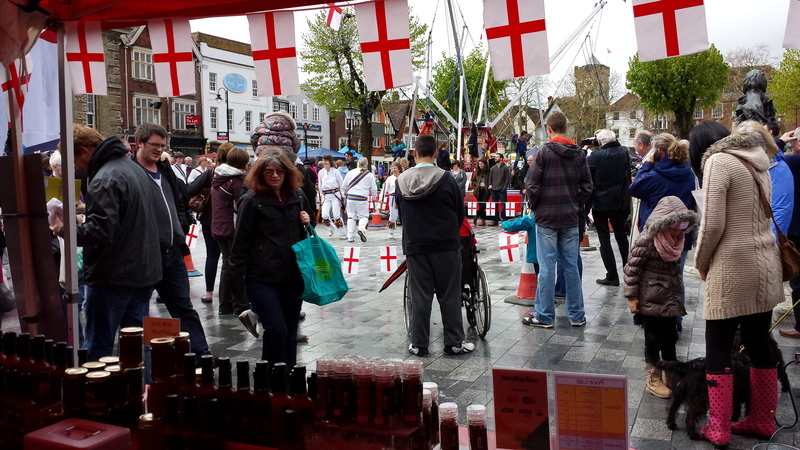 Having said that it was a nice event – plenty of people around celebrating the day of our favourite sainted Turkish lizard-botherer, the weather played ball during the event itself, and I managed to inflict God Slayer on quite a few customers with generally hilarious results. So what’s on the menu for this week? Well, it’s a busy old time I can tell you. I’ve already spent some time at the Farm bottling loads of Chipotle Sauce, Hellmouth and Sweet Chilli…having a paperwork day today (such fun) and there’s a rumour of the press visiting the Farm tomorrow. I’ve had my hair cut just in case. The weekend coming is mega busy – starting on Thursday I will be at Bristol Temple Quay, Tidworth, Devizes, Frome Independent and Wanborough May Day Fayre. Pink Chilli Hobbit will be at the ss Great Britain in Bristol on Saturday and Marlborough on Sunday. On top of that little lot we’ll also be in Oxford, Reading, Swindon, Bath and at Eastnor Chilli Festival. Phew. Am I obsessed by chillies? 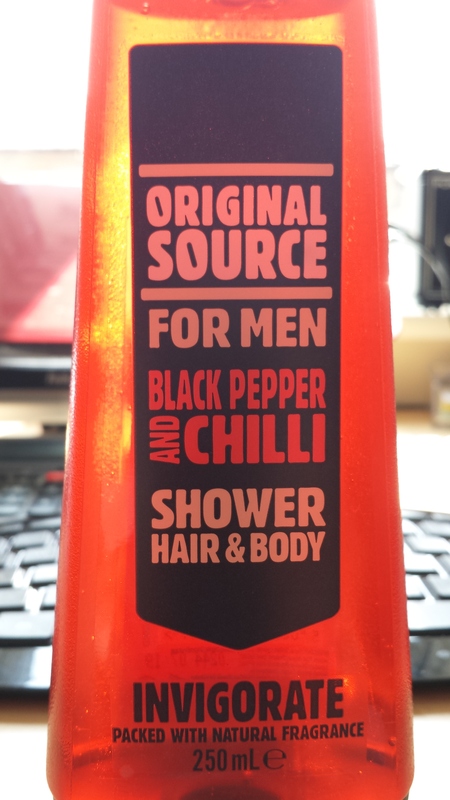 Take a look at the shower gel I bought today and make up your own mind. Seriously, how could I resist? This weekend will see the start of the cricket season for me. 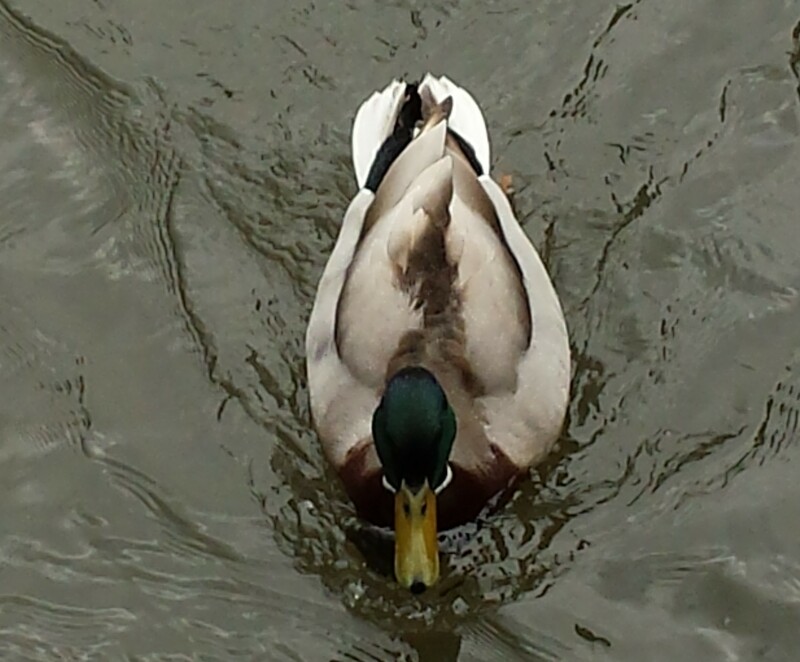 I’ve not touched a bat or ball since last August, but I’m hoping that my magnificent athletic prowess will enable me to wobble up to the crease and deliver my slow to even slower in-duckers with customary accuracy. I’ve been saying for some time that once I lose the uncanny knack of bowling line and length I’ll give up and play golf instead, but I’m hoping that won’t be the case yet. I still enjoy playing for my club Potterne and even though I’ll manage less games this year because of work, I’ll still support them when I can get there. Well that just about wraps it up for this post. Needless to say, I hope you have a good week and we’ll see you at the weekend! PS I’ve just noticed that the bar of chocolate I’m currently munching has the words ‘easy reclose pack’ on it. How does that work? This entry was posted in Chilli, Cricket, General and tagged Bristol, cricket, Devizes, Frome, Pink Chilli Hobbit, Tidworth, WCF. Bookmark the permalink.